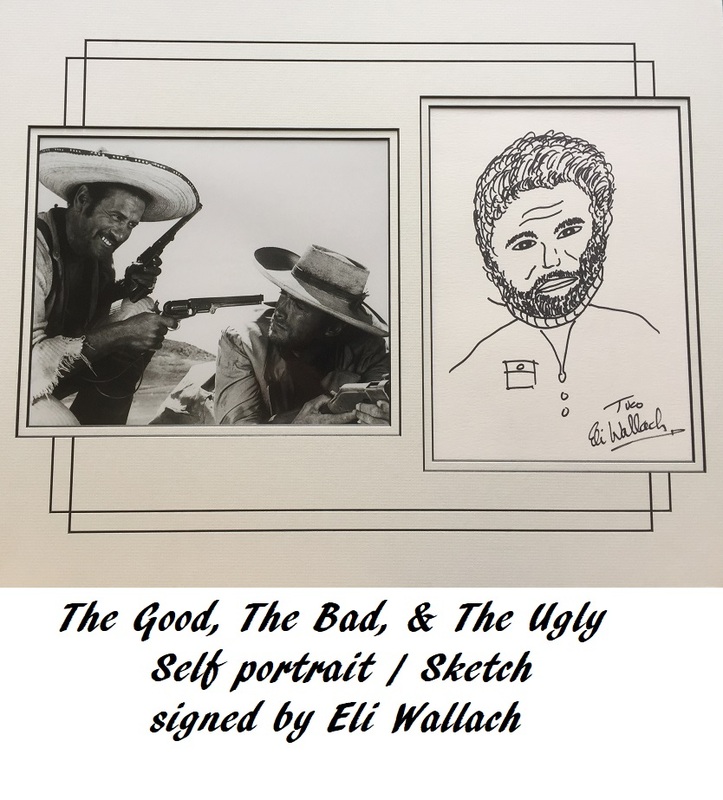 Wonderful 8 x 10 photo from "The Good The Bad and The Ugly", mounted with a self portrait / sketch signed by Eli Wallach. Wallach added his character name 'TUCO'. The self portrait shows TUCO with a noose around his neck, just before he gets rescued in the reward money scam. 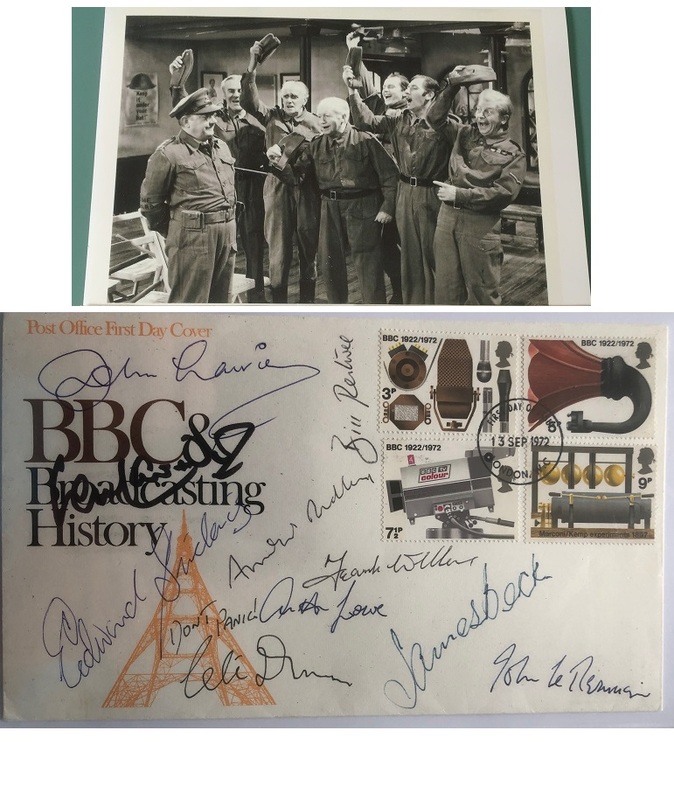 Eli Wallach rarely did any kind of drawing, apart from charity auctions. Note: There is a small ding on the bottom right corner of the professionally cut matt. This would not be noticeable when framed.